It is important to communicate health care decisions with your family and health care providers to be clear about the type of care you want in the event you are too ill or injured to express your wishes. Communicating your wishes helps you to relieve your family and caregivers of decision-making anguish during moments of crisis or grief. Advance Directives and Physician Orders for Life-Sustaining Treatment (POLST) each provide a unique service to patients and to the health care community that serves them. 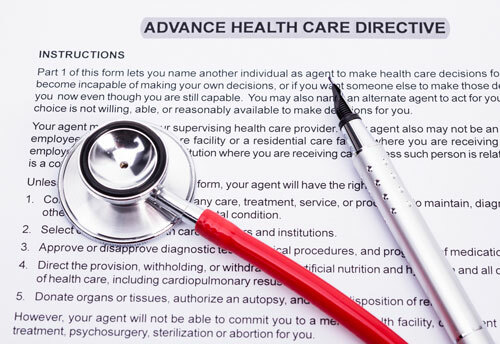 Advance directives aren't just for older adults. Unexpected end-of-life situations can happen at any age, so it's important for all adults to prepare these documents regardless of their health status. An Advance Directive is a legal document you prepare to make sure your wishes for care are recognized in the event you are injured and cannot speak or communicate for yourself. There are two types of Advance Directives: 1) a living will; and 2) designating a health care power of attorney. Both of these directives can be changed by you at any time. A POLST is not for everyone. It should be completed by those patients with a life expectancy of five years or less, a terminal illness, or at the patient's or their agent's request. In any of these instances, your provider can supply you with additional information and guidance. A POLST is designed to help medical responders and health care providers honor your wishes regarding specific medical orders as determined by you and your physician. It must be signed by your physician as well as by yourself and can be changed by you at any time.